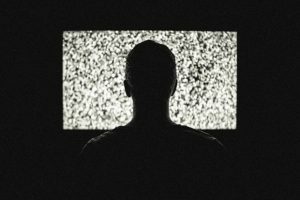 The quality of service available on unmanaged OTT TV services has improved markedly in recent years, but much still has to be done to guarantee the same level of quality available on broadcast TV, particularly for live linear programming, according to a study by French media regulator the CSA. The report said that it was important for transmission via broadband to be secured by a minimum bandwidth to avoid congestion, particularly in relation to live services distributed on OTT. It noted that consumer frustration had been evident in the case of OTT transmission of live sports events in particular. The report noted on the other hand that 70% of the French population now had access to sufficient broadband speeds to access live OTT services, and about 90% has sufficient bandwidth to access non-linear services, working on the assumption that 80Mbps is necessary for Quality of Service in the case of live offerings, and 3Mbps is necessary in the case of non-linear content. The CSA said that eliminating differences in quality between managed and unmanaged services would depend on progress in the rollout of ultra-fast fixed networks, ongoing improvements in compression technology, and the availability of user devices of sufficient capacity to provide satisfactory quality of service. It noted that CDN solutions could help deliver results but that access to costly services is out of reach for many smaller players, unlike large international providers.